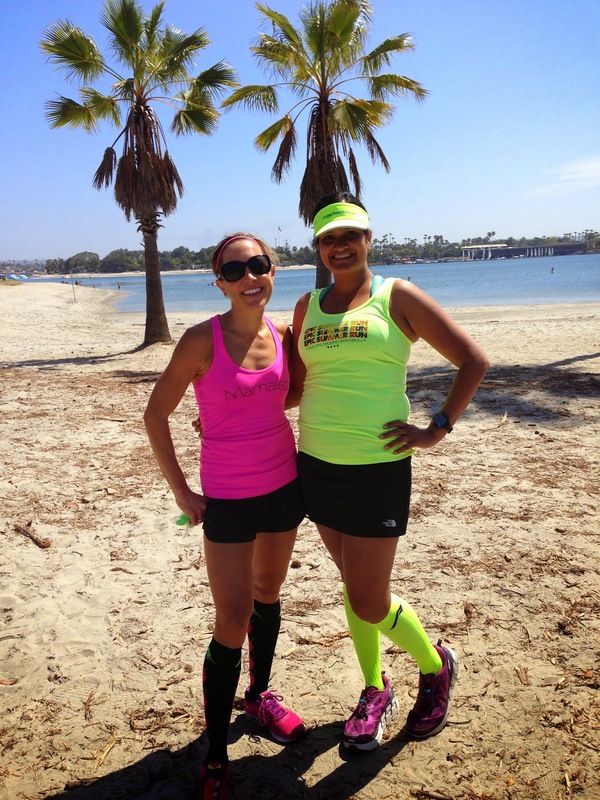 Running with SD Mom: Pro Compression Shake Out Run & Blogger Royalty! You know when you meet Peyton Manning in real life (IRL)? Or Brad Pitt? Or Elsa and Anna? Well, for me names like Kristen, Melissa, Meb, Ryan, Kara and Shalene make me giddy! Like a school girl! When I heard that Pro Compression was going to be sponsoring a shake out run before the Rock n Roll San Diego Half, I jumped at the chance. 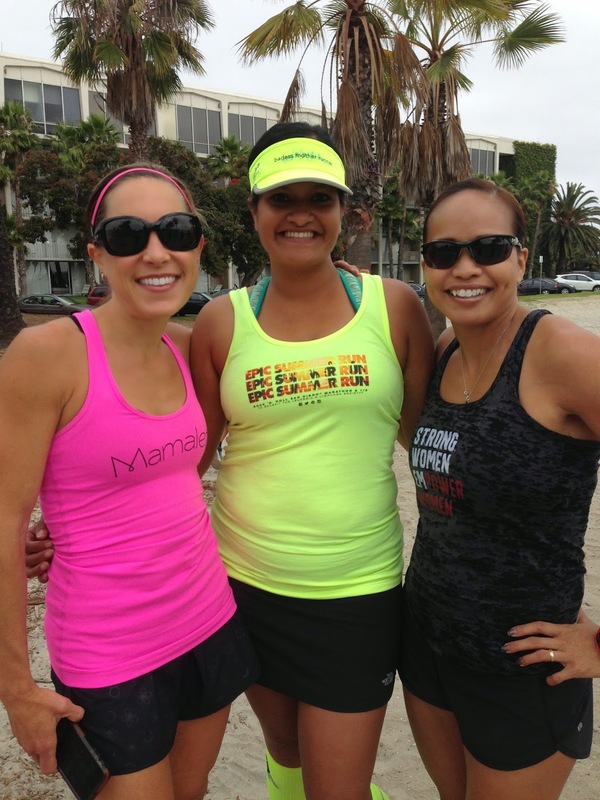 When I found out that Sarah at Skinny Runner and Kristin at Stuft Mama were co-hosting, I swooned! We started at the Bahia Hotel in glorious Mission Bay! In my Pro Compression socks of course! Took a picture with all the participants before we headed out! Recognize any famous (to me) faces?! 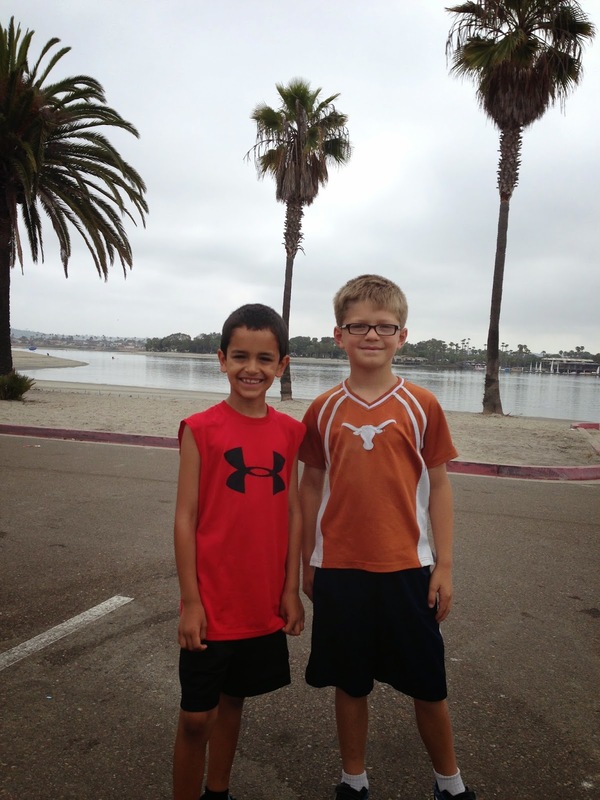 My RF Danielle and I brought our boys to this run and they enjoyed their time together...more than their run! Look at the contrast between them and the fabulous Sarah (Skinny Runner)! She just placed first in her 100K! She is speedy and strong! And so nice. She talked me thru why doing a Marathon soon-ish is a great idea and even gave me tips on which one would be a good first one! 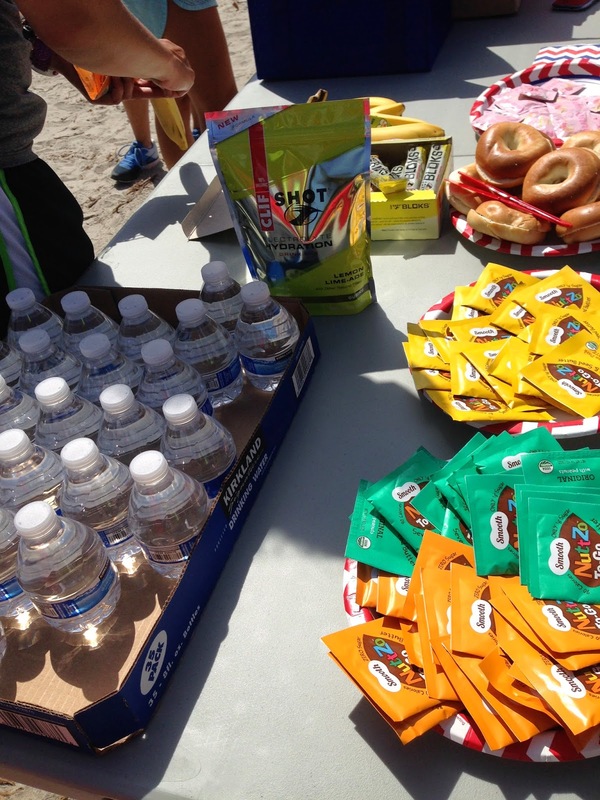 We then headed back (after .7 miles) and saw this spread! With Nuttzo of course! You know happy that makes me! But I had to make my Blooger Heros stop and take pictures with me! Stuft Mama, SD Mom and Melissa Running It! 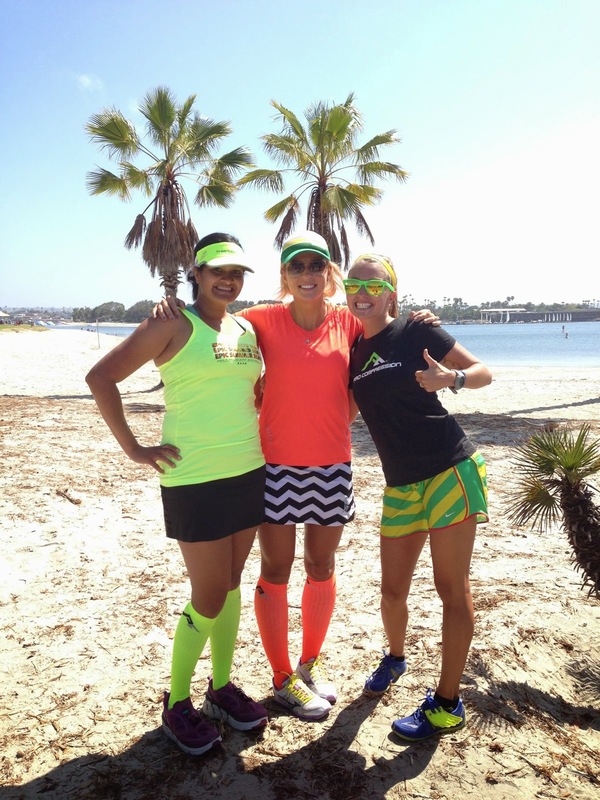 SD Mom, Skinny Runner and Carlee! Then Danielle and I had to take a picture with our boys! And then one just of me and D! 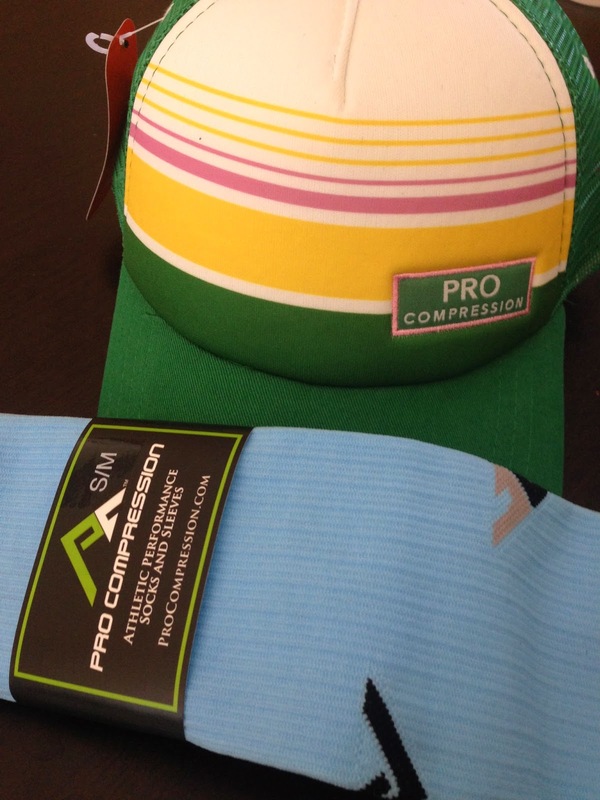 And finally, what is a Pro Compression run without shwag?! I won a pair of the blue socks I have had my eye on FOREVER and an awesome trucker hat which will make me #MatchyMatchersons with Skinny Runner! So there you have it! I highly recommend these shakeout runs. They are low pressure fun events. And maybe you can take pictures with celebrities too! 1. Enter the Rumble Roller Beastie GIVEAWAY here. 2. 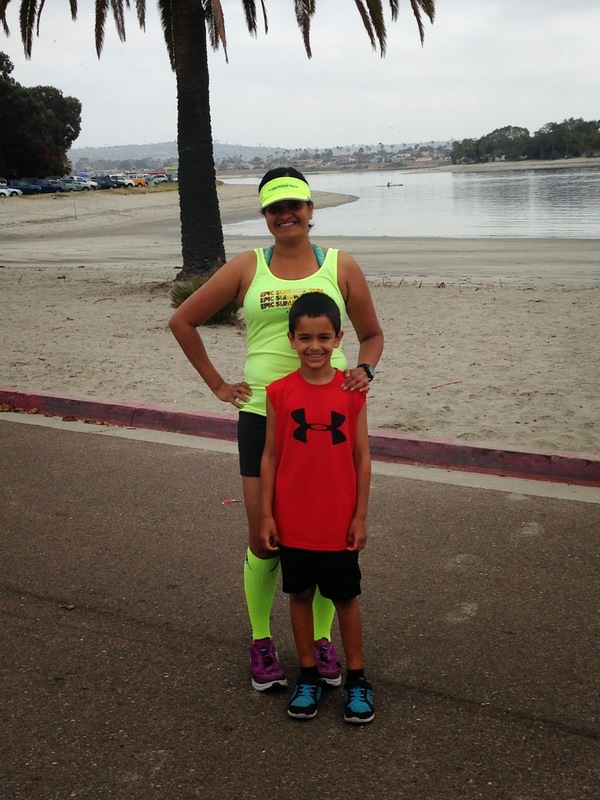 Go sign up for the San Diego Beer Run on 8/23. Tell them the blogging community sent you. Sign up here. 3. 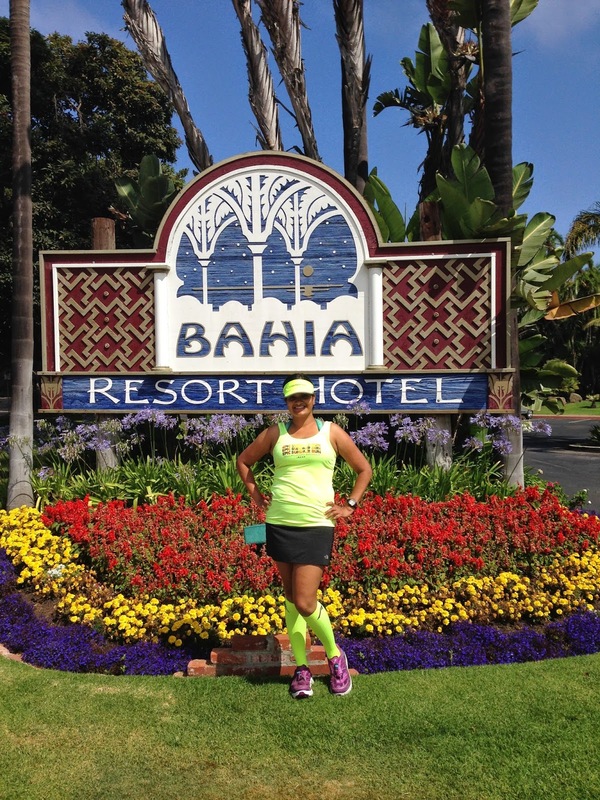 Use Code BLG14 to save 40% of any Pro Compression socks here. Anxious about the early wake up time tomorrow. But I will see you on the flip side! 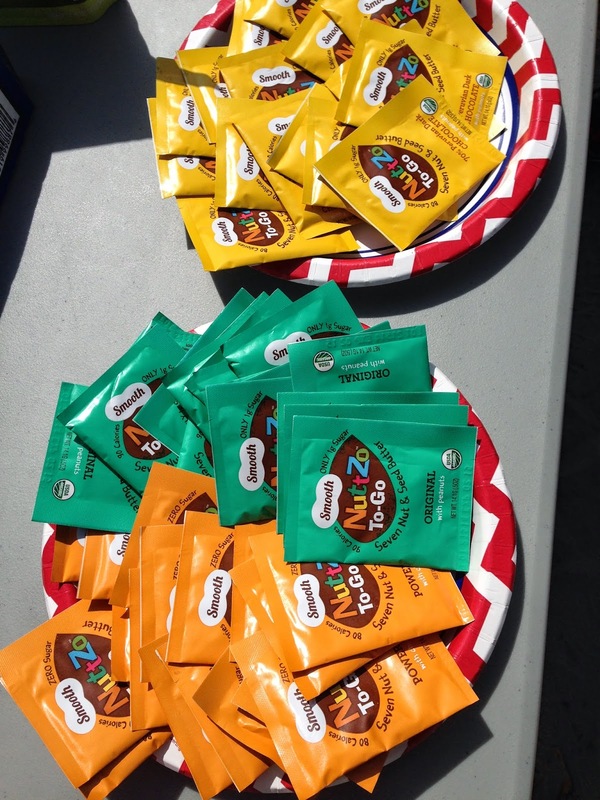 I'm jealous of the Nuttzo samples!! I have just clicked to Rumble Roller Beastie GIVEAWAY but i dont know why i cant enter.Can you help me? IT is over. I have giveaways every week though and you can check out he Giveaway Roundup for over 50 giveaways!